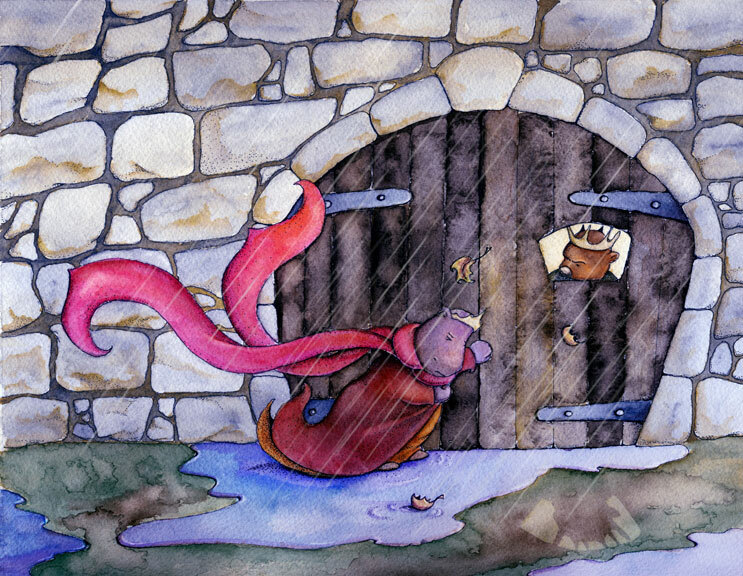 The Painted Page | Four children's book illustrators explore text and image in their unique styles. 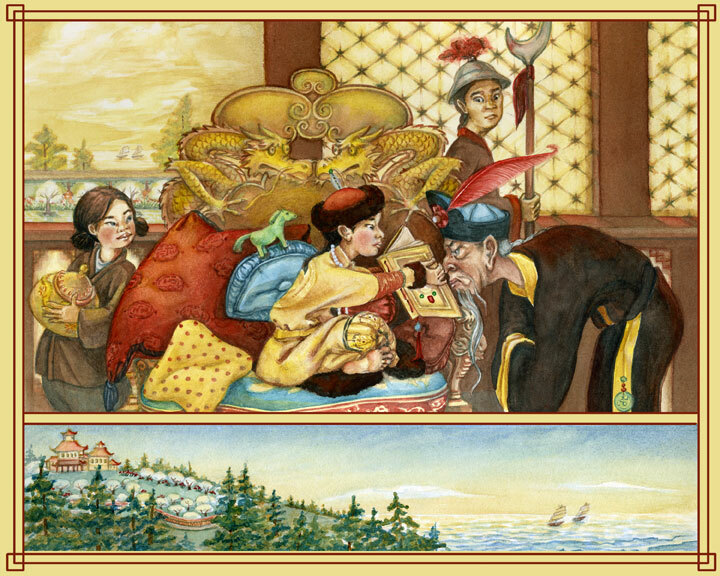 Four children's book illustrators explore text and image in their unique styles. of her own size and liking. An ugly duckling finds his place in the world following an amazing transformation. “Tsing-pe!” cried the lord-in-waiting, and again he ran up and down stairs, through all the halls and corridors; and half the court ran with him, for they did not like the idea of being trampled upon. 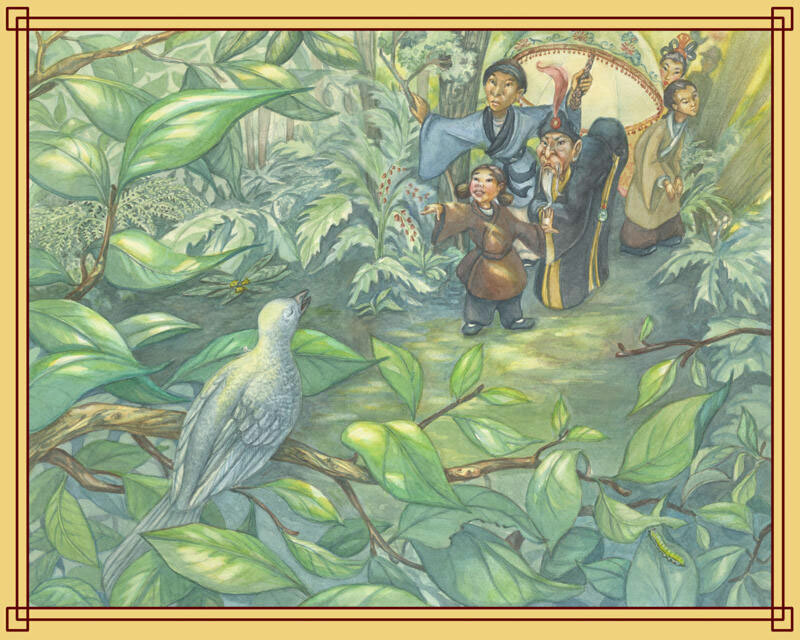 There was a great inquiry about this wonderful nightingale, which all the world knew, but who was unknown to the court. “No those are frogs,” said the little maiden, “but I think we shall soon hear her now:” and presently the nightingale began to sing. 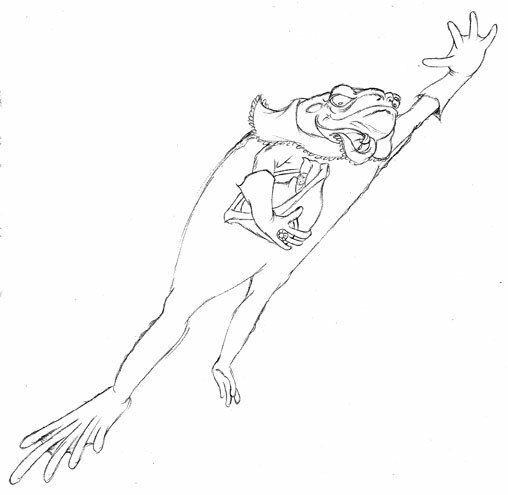 “Hark, hark! There she is” said the girl, “and there she sits, she added, pointing to a little gray bird who was perched on a bough. Then he called one of his lords-in-waiting, who was so highbred, that when any in an inferior rank to him spoke to him, or asked him a question, he would answer, “Pooh,” which means nothing. It was a princess standing out there in front of the gate. But, good gracious! what a sight the rain and the wind had made her look. The water ran down from her clothes; it ran down into the toes of her shoes and out again at the heels. And yet she said that she was a real princess. “Thank you,” said the woman, and she gave the witch twelve shillings, which was the price of the barleycorn. Then she went home and planted it, and immediately there grew up a large handsome flower, something like a tulip in appearance, but with its leaves tightly closed as if it were still a bud. “It is a beautiful flower,” said the woman, and she kissed the red and golden colored leaves, and while she did so the flower opened, and she could see that it was a real tulip. Within the flower, upon the green velvet stamens, sat a very delicate and graceful little maiden. She was scarcely half as long as a thumb, and they gave her the name of “Thumbelina,” or Tiny, because she was so small. A walnut shell, elegantly polished, served her for a cradle; her bed was formed of blue violet-leaves, with a roseleaf for a counterpane. Here she slept at night, but during the day she amused herself on a table, where the woman had placed a plateful of water. Round this plate were wreaths of flowers with their stems in the water, and upon it floated a large tulip-leaf, which served Tiny for a boat. Here the little maiden sat and rowed herself from side to side, with two oars made of white horsehair. It really was a very pretty sight. Tiny could, also, sing so softly and sweetly that nothing like her singing had ever before been heard. One night, while she lay in her pretty bed, a large, ugly, wet toad crept through a broken pane of glass in the window, and leaped right upon the table where Tiny lay sleeping under her roseleaf quilt. “What a pretty little wife this would make for my son, said the toad, and she took up the walnut-shell in which little Tiny lay asleep, and jumped through the window with it into the garden. Far out in the stream grew a number of water lilies, with broad green leaves, which seemed to float on the top of the water. 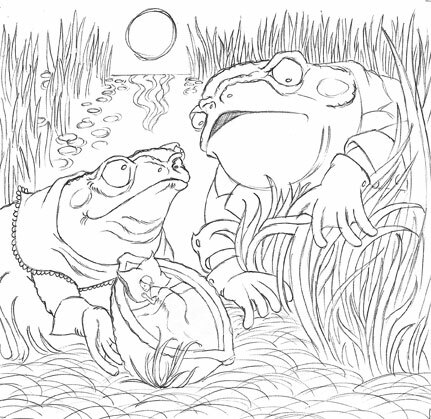 The largest of these leaves appeared farther off than the rest, and the old toad swam out to it with the walnut-shell, in which little Tiny lay still asleep. The tiny little creature woke very early in the morning, and began to cry bitterly when she found where she was, for she could see nothing but water on every side of the large green leaf, and no way of reaching the land. The Nightingale returns April 11. 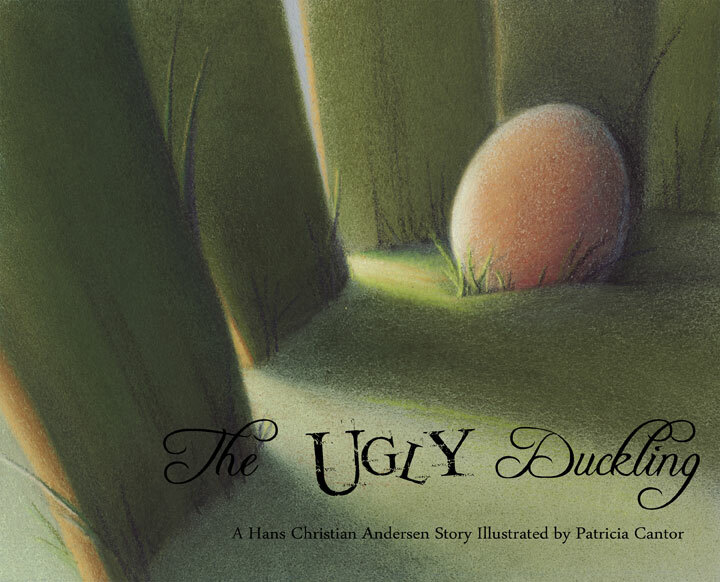 Join us next week for “The Ugly Duckling,” illustrated by Patricia Cantor. ONCE upon a time there was a prince who wanted to marry a princess; but she would have to be a real princess. He traveled all over the world to find one, but nowhere could he get what he wanted. There were princesses enough, but it was difficult to find out whether they were real ones. There was always something about them that was not as it should be. So he came home again and was sad, for he would have liked very much to have a real princess. “The Princess and the Pea” returns Monday, April 4. 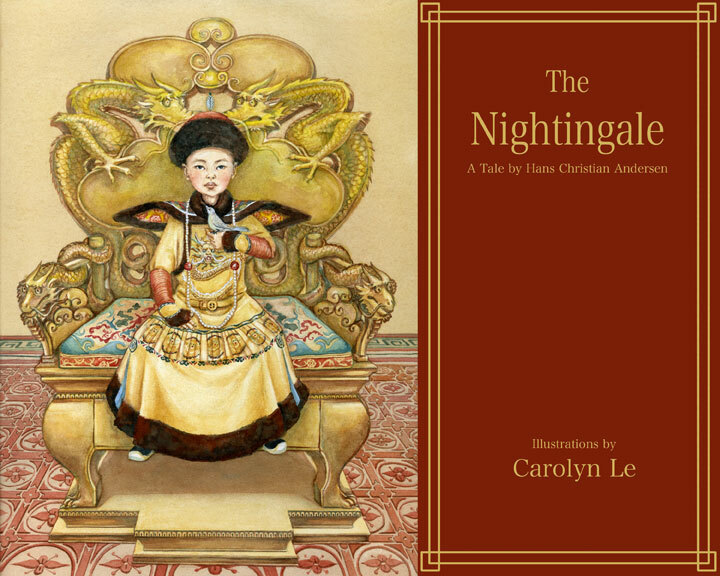 Join us next week for “The Nightingale”, illustrated by Carolyn Le. Within the flower, upon the green velvet stamens, sat a very delicate and graceful little maiden. She was scarcely half as long as a thumb, and they gave her the name of “Thumbelina,” or Tiny, because she was so small. 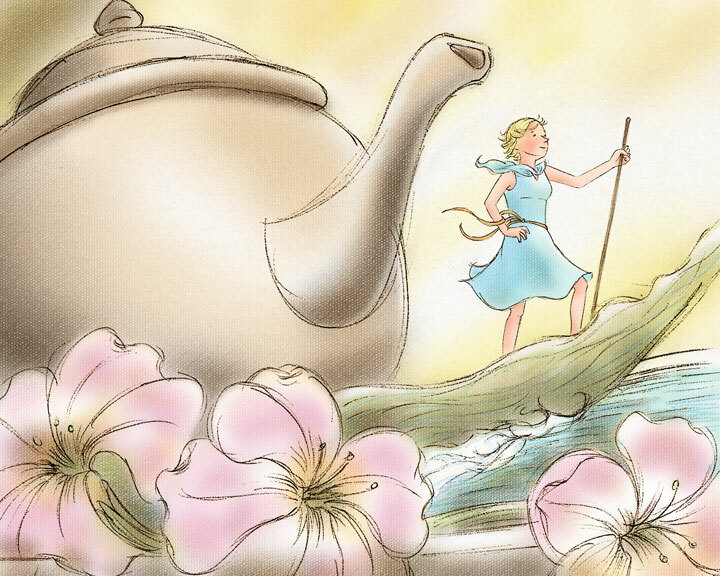 Thumbelina will return on March 28. 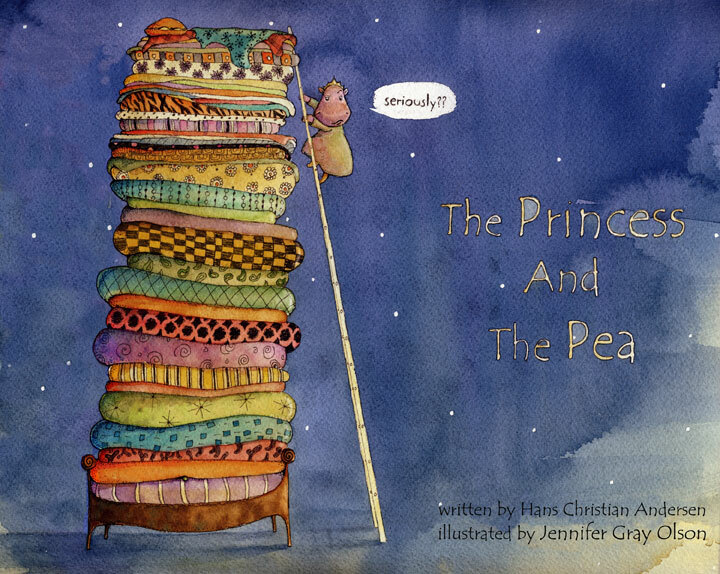 Join us next week as we begin “The Princess and the Pea”, illustrated by Jennifer Gray Olson.